Does it Live up to the Hype or go down in Flames? One of the hot diets on the market that many people are starting to question and consider getting on themselves to kick-start their weight loss is the HCG program. But, is this program really for you? Is it one that will help you achieve the lasting success you’re looking for with getting down to your goal weight? Before you rush out and purchase everything you need to get going with the HCG weight loss plan, there are some important things to consider. Let’s give you the low down so you know what you’re getting into. First of all, just because you just heard about it and people are calling it ‘new’ doesn’t make it the truth. The actual premise of this fad diet was proposed in 1954 by a British doctor by the name of Albert T Simeons. He theorized that human chorionic gonadotrophin (HCG) which is a hormone found in pregnant women’s urine could aid dieters so they could basically achieve miracles. He believed that HCG could help people achieve all the most common goals such as suppressing appetite, burning fat and even redistributing fat with ease. The HCG would enable them to consume only 500 calories per day. The catch is, he had ZERO scientific evidence which proved his theory in 1954 and there is still no proof today in 2011. Fast forward to today and the HCG program has been reborn. Its resurgence started with a book titled The Weight Loss Cure They Don’t Want You to Know About written by convicted scam artist Kevin Trudeau. 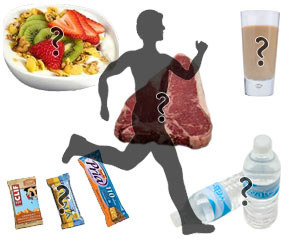 Today the diet is prepackaged in numerous diet and supplement products. In addition to this, the claim is that the body will start rapidly using fat as a fuel source, therefore helping to decrease the total fat storage in your body very quickly. Users are to take the supplement and follow a set diet protocol, taking a break every so often and resuming their normal eating habits before they cycle through it again. 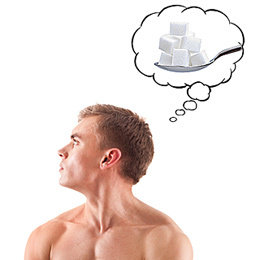 By taking the break they reset their body and ensure that they don’t hit a metabolic plateau. Now, the diet itself is definitely one that you would consider ultra low calorie. 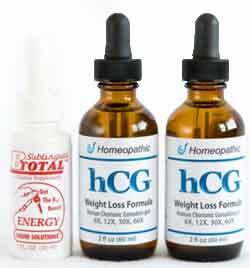 The HCG system calls for around 500 calories per day, which is very low compared to most other diets on the market. It’s so low in fact, that it would be considered unsafe by most nutrition professionals and dietitians. The reasoning for this is because since you are taking in such a low amount of food while using this approach, it will be next to impossible to provide your body with the nutrients that it needs. While you may see rapid rates of fat loss since you are consuming such little energy, you will be setting yourself up for long-term nutrient deficiencies. The diet is primarily made up of vegetables and a protein source, with the allowance of one fruit at each meal along with two break sticks. Breakfast is to be skipped however, so you’ll be only consuming two set meals throughout the day. One of the biggest issues with the HCG program apart from the fact that your caloric intake will be incredibly low is the fact that it’s also going to set up you for lean muscle mass loss. In fact, when using this diet plan you’ll have just as much of a chance of losing muscle as you will losing body fat, which is something that you must aim to avoid when dieting. If you lose muscle you’re going to look softer than before as you’ll now have a higher overall body fat percentage level. In addition to that, lean muscle mass loss will mean a slower metabolic rate, so that will make dieting in the long run even more challenging. In addition to this, exercise is pretty much shunned on this approach as you simply aren’t consuming enough calories to provide fuel to get through the workout sessions. So all in all, should you use the HCG program for your weight loss goals? The short and only answer is no. It simply boils down to this: If you stick to the 500 calories per day plan, you will lose weight quickly, but it is not going to stay off and it is not going to be the type of weight (body fat) that you want to lose. Find a more balanced program that provides a higher calorie level along with more protein and nutrients and you’ll be far better off or even better, simply educate yourself about proper nutrition. Shannon holds a degree in Exercise Science and is a certified personal trainer and fitness writer with over 10 years of industry experience.